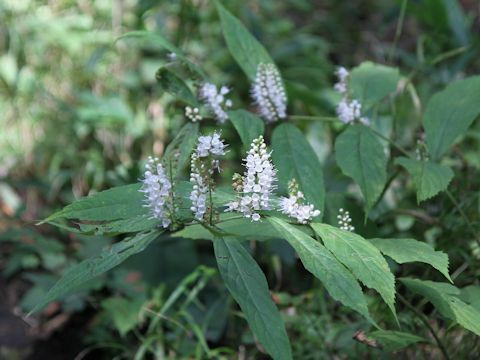 "Shimo-bashira" (Keiskea japonica) belongs to the Lamiaceae (the Mint family). 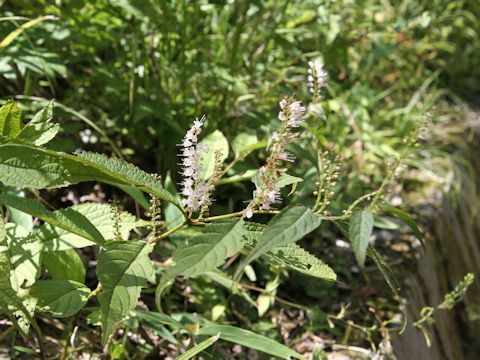 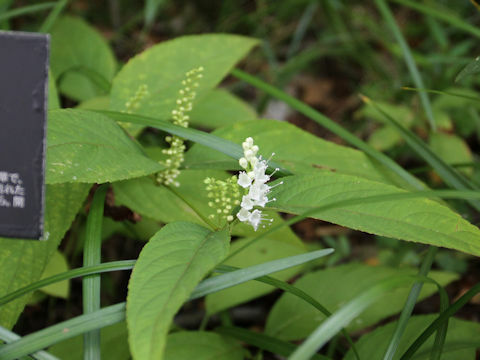 It is a perennial herb that is native from Kanto district of Honshu west to Shikoku and Kyushu. 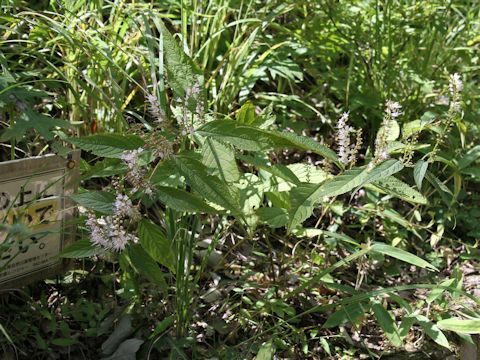 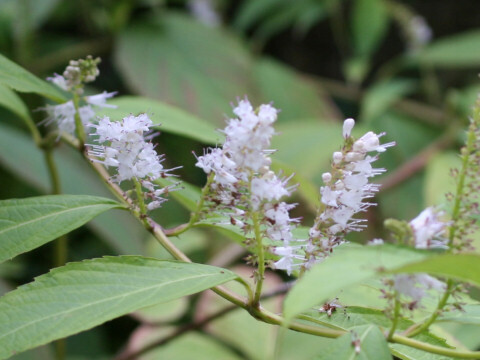 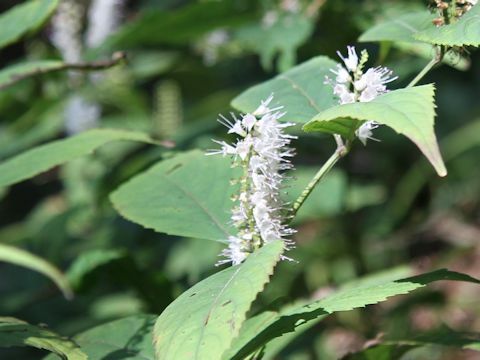 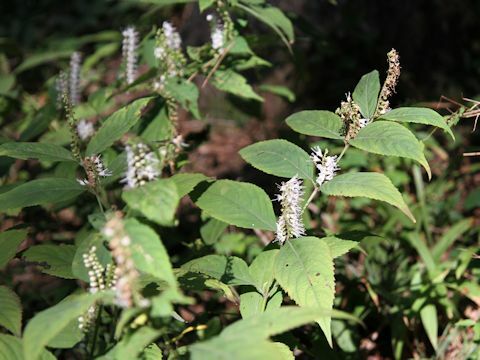 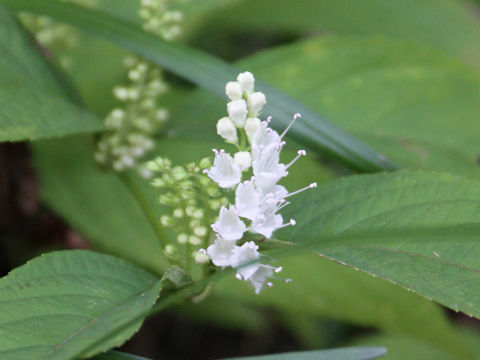 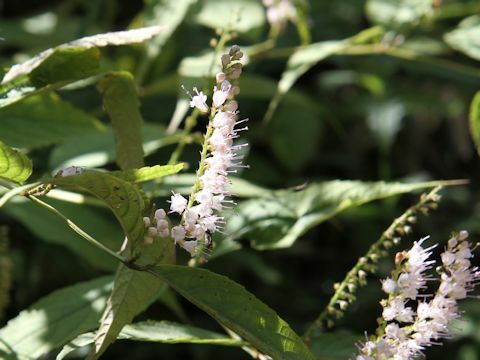 This herb grows in mountainous tree-shaded areas, and it can reach 40-90 cm in height. 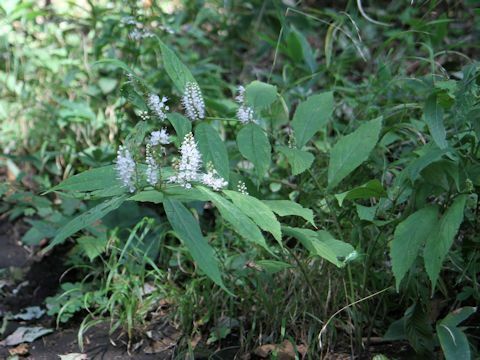 The leaves are oblong with toothed edges and arranged in opposite. 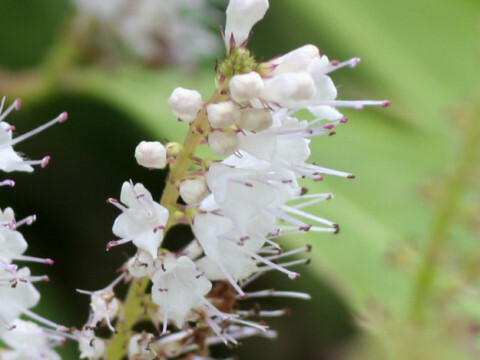 The racemes are borne in axils of upperpart of stems and bloom one-sideways the small white flowers from September to October. 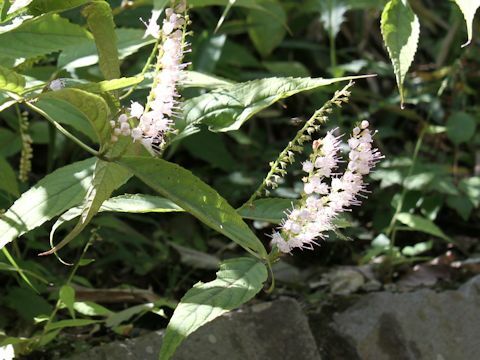 The Japanese name is derived from that the frost-column-like icicles are produced at the base of stems in early winter.